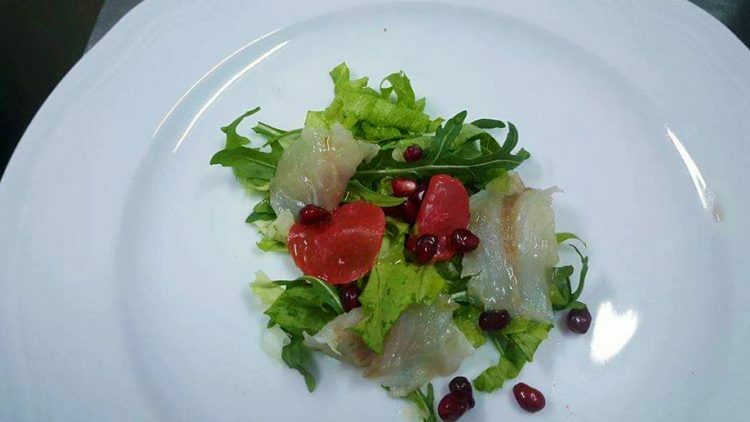 The seas, lakes and rivers of Albania are a blessing not only for Albanian tourism and sightseeing but also for the country’s restaurants which offer a fish-rich menu prepared in the most masterful manner. 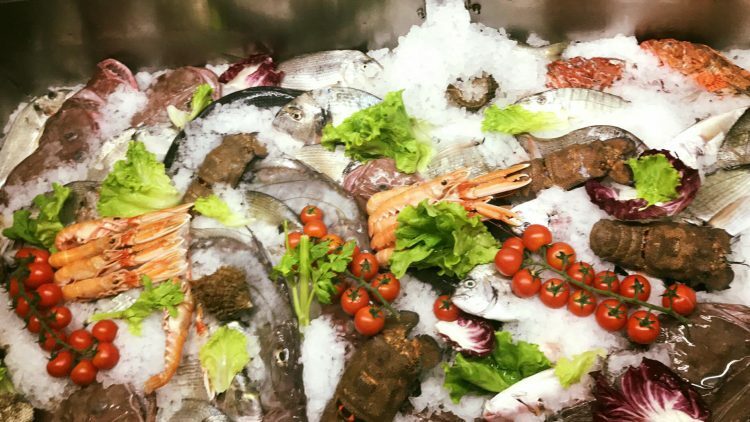 If you’re looking for a map of great fish restaurants, below you will find a list of the most important restaurants in Albania’s major cities. 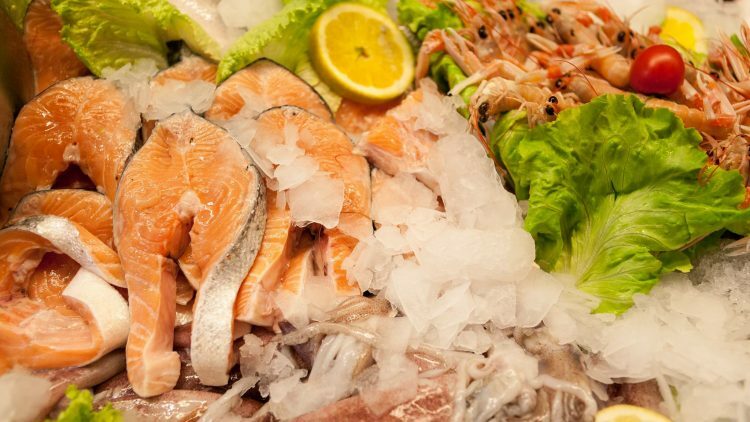 This coastal city is well-known in the entire country and beyond for the best-quality restaurants in terms of seafood. The great number of tourists throughout the entire year helps the client whose only problem will be choosing one great place among many. If we take Tripadvisor as a reference point, this restaurant is the highest-voted in the city. 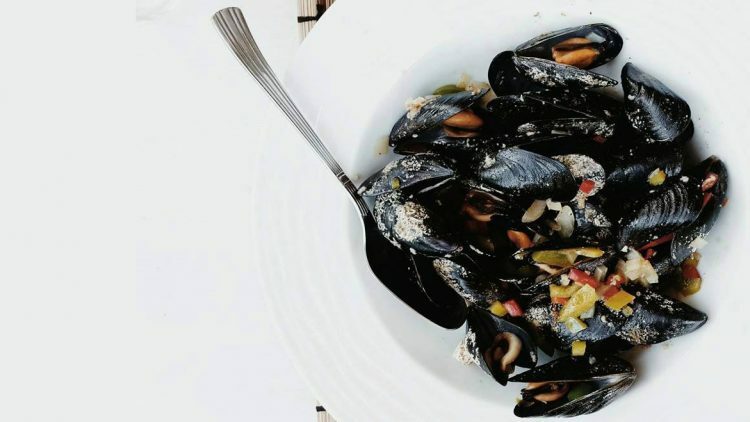 Indeed, what can top a Mediterranean seafood-based menu with Asian influences? In addition to the delicious food, its location right by the sea and the warm breeze during the numerous warm months make this restaurant the ideal spot for feeding all senses. The tasty dishes and the inviting atmosphere have turned Fiore into a well-known brand, with a sister restaurant in Tirana. As the name suggests, this place is a modern twist on a classic. Its contemporary yet warm atmosphere is very inviting, as are the uniquely delicious seafood dishes this place offers. One of the originals, a trailblazer, if you will! This restaurant was one the first of its kind to open. This tavern-style place is still the most popular place among the locals for their special weekend lunch or dinner by the sea. Products are always fresh and their crudos (raw seafood plates) are amazing. Make sure you reserve a table! 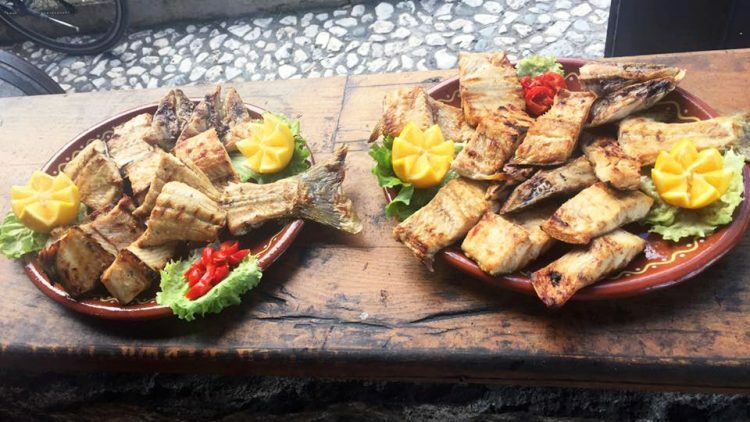 The seafood restaurants in the city of Shkodër are especially fortunate as this beautiful town is surrounded by a multitude of bodies of water such as the Lake of Shkodër and the Drin, Buna, and Kir Rivers. Seafood here is sure to be fresh! Here, you can see the freshness of the products before you get to taste their delicious flavor, as all the fresh catches of the day are beautifully exposed. Here is the spot where the chef makes his recommendations based on the client’s taste! It’s for good reason that this restaurant is one of the top-rated seafood places on Tripadvisor. The name says it all! 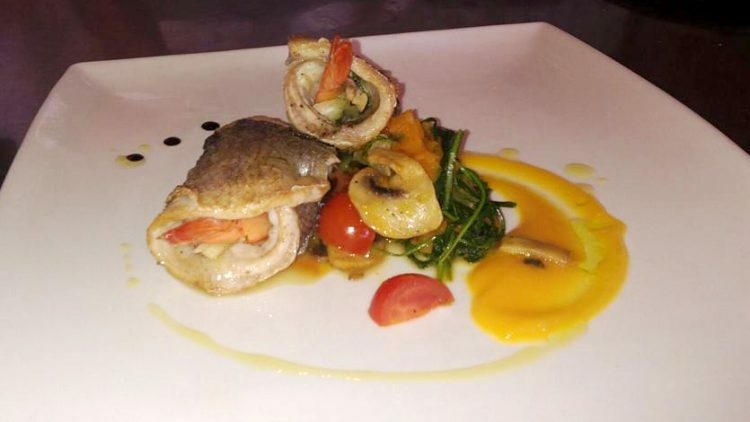 Here, the culinary art of seafood is taken to another level! 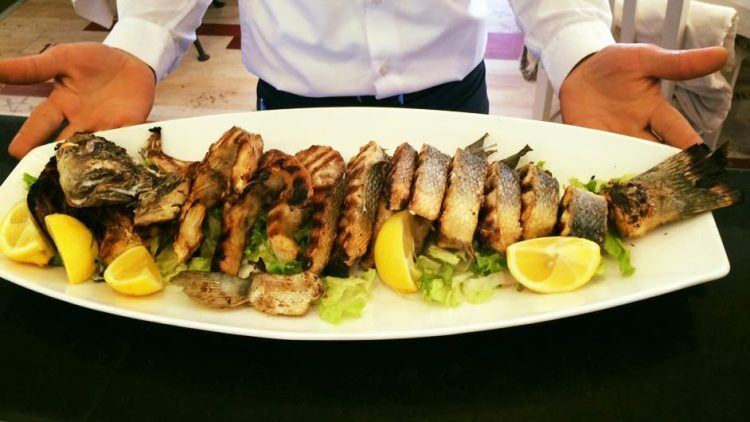 The simple grilled fish plates are the most coveted here. Their fish is always fresh, juicy and perfectly flaky and the beautiful view of the meeting point of the Buna and Drini Rivers doesn’t hurt! One of the most popular coastal cities in the country, Vlorë expects an onslaught of tourists every spring/summer, greatly accommodates them all and feeds them some of the most traditional, delicious seafood in Albania. Now, due to the recent construction of the highway to the city, Vlorë is easily accessible at a mere 2 and a half hour drive from Tirana. Joni is a popular Albanian name, meaning both Ionian (as in the sea) and ours. Like the name suggests, Albanians flock to this cozy place to eat some of the freshest products the Ionian has to offer. Online commentators agree that the quality is one of the highest in town. This is one of those places that really enclose within it the true spirit of the city. It is visited by locals and tourists alike and loved by all! The name gives away this beautiful place’s location close to the seaport as well as the Italian culinary tradition behind every dish that is served here! While the southern Riviera is the top summer destination in Albania, it is the small village and beach of Dhërmi, located at the bottom of the Llogara Pass, that attracts everyone with its beautiful crystal clear sea. 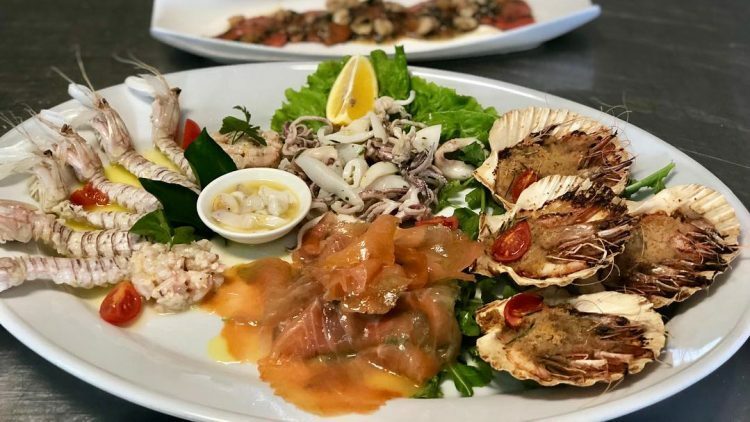 As the most visited place among dozens of beautiful beaches along the southern Ionian coast, Dhërmi offers quite a large variety of fresh seafood restaurants during the summer season. One of the most popular restaurants in Dhërmi, what sets this place apart from the rest is not only its great food but that it remains open throughout the year! Enjoy one of their specialties, always recommended by the chef, close to the greatest aroma on earth, that of the Ionian. Tourists and locals in the know are familiar with this exceptional restaurant, its top notch food and service so you would do well to make a reservation prior to your visit! This restaurant enjoys a constantly loyal clientele because of its simply great food and Italian tavern atmosphere. The fresh seafood dishes taste especially delicious in its open and spacious veranda. 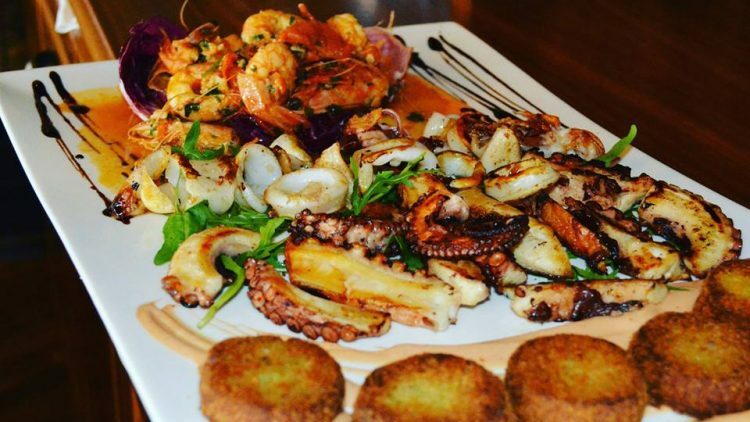 As opposed to the cities of Vlorë or Durrës, where Albanian cuisine reveals some Italian touches, in Sarandë, the influence of that famous Greek seafood cuisine takes over. The countless restaurants by the sea are, as they say, finger-licking good! A masterful intermingling of Albanian and Mediterranean culinary traditions make this one of the most unforgettable places in the city. As the name suggests, this is one classically great place. One of those authentic Sarandë restaurants where you will most certainly find the best, most traditional taste of the town. Though here you may forget you are in Sarandë, this modern spot is one of the most popular among tourists. As a result, it has become quite the international hot-spot, Saranda’s own melting pot. The contemporary interior and views of the sea make the fresh seafood cuisine served here all the more scrumptious. In Ksamil, the most visited islands at the end of the Albanian Riviera, there are many small restaurants that are well-known for their lack of pretentions and for simply serving delicious, fresh fish by the most crystal sea in the southern Riviera. This city’s swift rise in popularity is mainly due to its wonderful gastronomical tradition, reintroduced in the recent years in the most modern way possible. When you enter Lezhë, know that you are entering the current gastronomical mecca of Albania! The restaurant is located in the strategic point of the natural reserve Kunë-Vain-Talë, where the lagoons offer breathtaking views of the marshes and the dishes reflect the beauty of the land. The dishes are as delicious as they are particular! This restaurant is surrounded by the water of the Kunë – Vain – Talë Lagoon and, along with its fresh fish menu, it offers some magnificent, truly unique views. It is located in the area called the Island of Shëngjin. The Lagoon of Patok is located near Lezhë, and here you can find several well-known, unique restaurants, as well. Constructed in small cabins hovering over the water, these places serves the freshest fish in the area. The restaurants of Pogradec are especially renowned for two truly magnificent, rare things. One is the spectacular views of Lake Ohrid and the other, a fish called koran, a delicious fish only found here! A restaurant deserving of the name it enjoys (i.e. the restaurant of the city), this place has that hard-to-get trifecta of delicious food, great service and warm atmosphere. On top of this, here is where you will find the best koran. 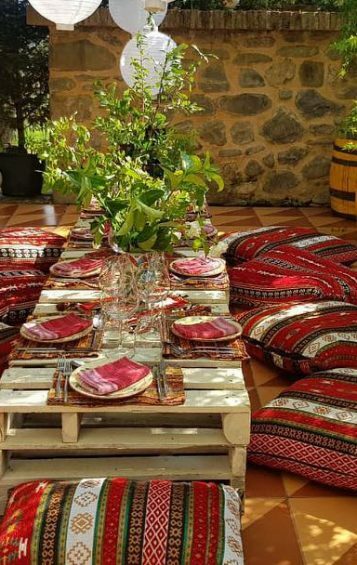 You will doubly enjoy the wonderful food served in this restaurant located near the naturally beautiful area of Tushemisht. You will feel like you are part of a tasty, beautiful postcard! Framed by the lake and the variety of fresh fish served here are two of the main reasons for visiting this place. You will relax in this cozy atmosphere!